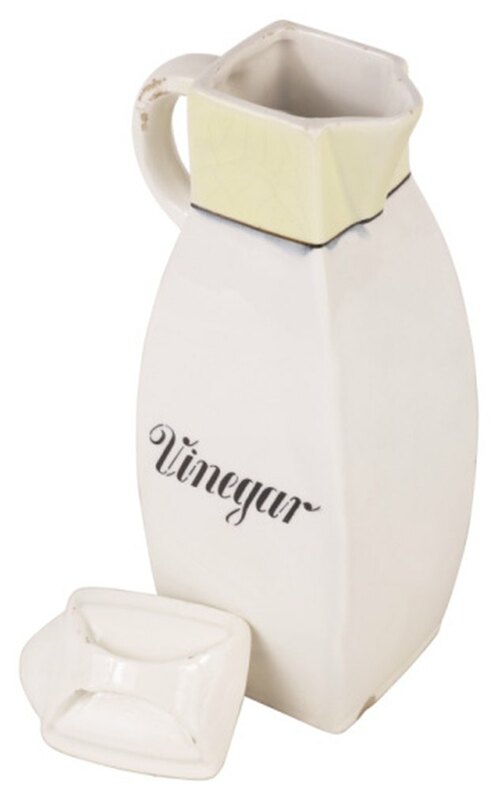 White vinegar isn't just a staple for the kitchen cupboards and pantry -- it's a safe and natural alternative to the harsh chemicals found in many bathroom cleaning solutions as well. 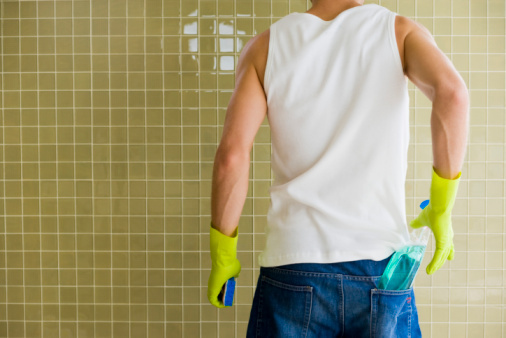 Vinegar can clean nearly every area of your bathroom, from toilet bowls to counter tops to mirrors and shower stalls. It's excellent for removing soap scum and cleaning mirrors and glass, which make it a natural go-to green product for cleaning your bathroom. Vinegar can be used as a suitable, natural bathroom cleaner. Fill a spray bottle half way with vinegar. Fill the bottle the rest of the way with water, leaving a little room at the top. Replace the spray top and secure. Swirl the bottle gently to mix the liquids. 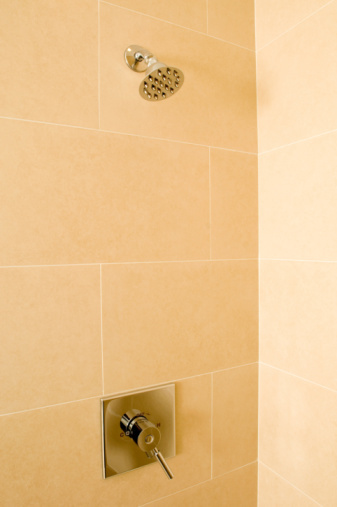 Spray the vinegar mixture in shower stalls or bathtub after using the shower to help loosen and prevent soap scum buildup. Squirt the vinegar solution on sinks, toilet seats and tanks, bathtubs and faucets, allowing it to set momentarily. Wipe those areas down with a damp sponge to clean and brighten surfaces. Set the spray bottle nozzle to a mist setting. Gently mist the bathroom mirror, keeping the vinegar solution away from the edges or frame of the mirror. Use a squeegee to wipe off the vinegar and create a streak-free shine. Rub the vinegar-soaked mirror with wadded-up newspaper to remove gunky buildup. Pour one cup of straight vinegar into a toilet bowl before bed and allow it to set overnight to remove and help prevent toilet bowl rings. Flush the toilet upon waking. Mix two tablespoons vinegar with one teaspoon of salt. Dip a damp sponge in this solution and use it to scrub soap and lime buildup from faucets, the base of faucet handles, and the spigots in the shower or tub. Wipe the metal off with a damp clean sponge if any salt is left intact. Pour straight vinegar onto a sponge over the sink or tub to avoid spilling it on the floor. 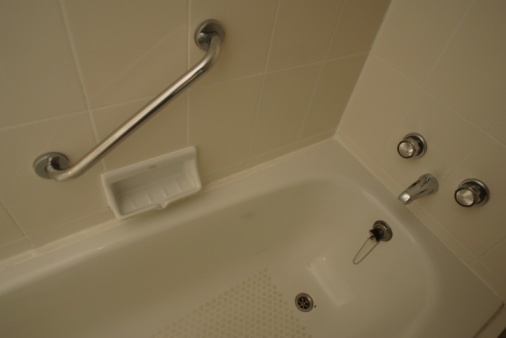 Wipe down the shower and tub walls and floors once a month to clean and prevent mildew and soap scum buildup. Sprinkle a little salt on the extra-scummy areas of the tub floor, then scrub it again with the vinegar sponge.